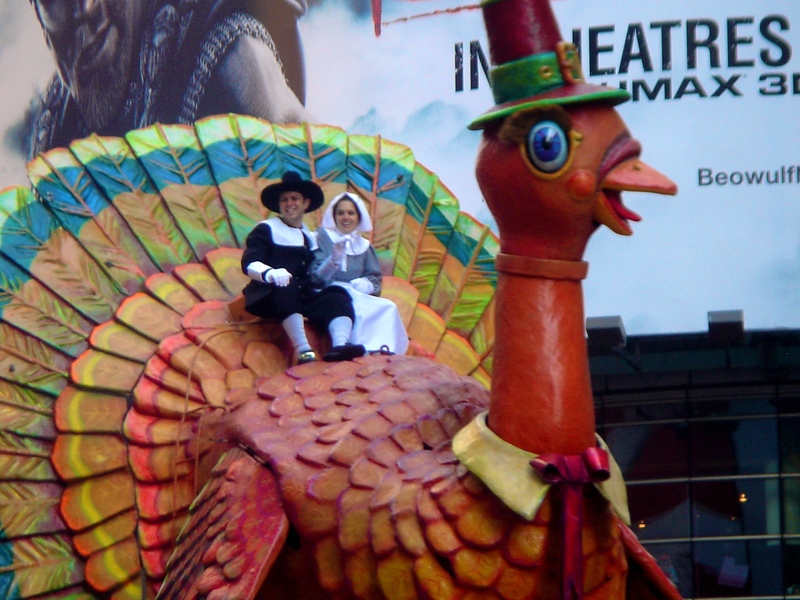 For me, nothing evokes the holiday like the Macy’s Thanksgiving Day Parade. Growing up, watching the parade, sometimes in person, was a staple in my family. It’s a tradition I’ve kept all these years, though these days I’ve been watching it most years on TV. I can’t imagine celebrating without it. The floats, the high school bands, the giant balloons, and the Broadway shows’ dance numbers–along with my personal favorite–the fabulous Rockettes, all guarantee to delight the child in all of us. 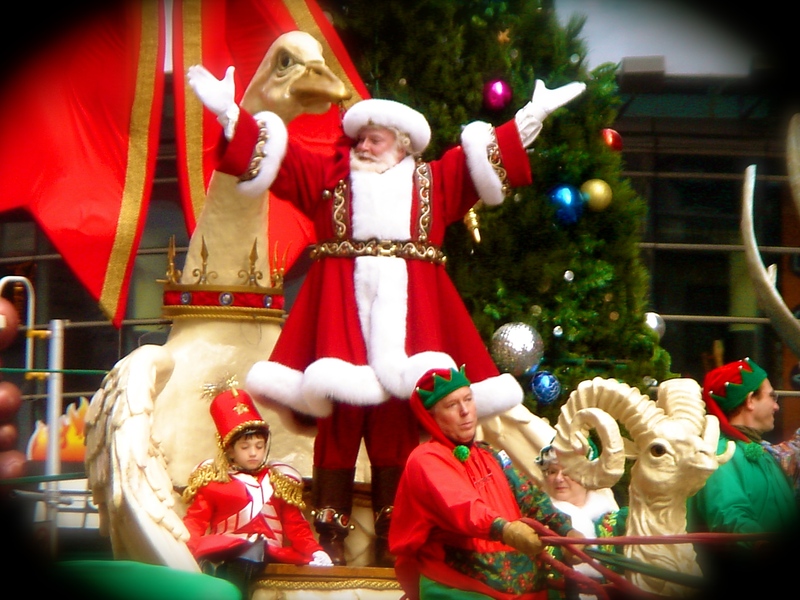 I remember waiting with baited breath for the grand finale, the last float featuring none other than Jolly Old St. Nick. His arrival has come to symbolize the official start of the holiday season. So, from my home to yours, wishing you and your loved ones a very Happy Thanksgiving, and a joyous holiday season. Hope you had a lovely thanksgiving. Enjoy the rest of the weekend even the writing parts. I suppose I must be a grinch. The parade simply gets on my last nerve. Maybe it isn’t the parade so much as the commentators, yeah that is likely it. I suspect it is also by the time Thanksgiving rolls in I am already sick of Christmas music. I am truly a grinch. No worries, Val. Like everything else, the parade does seem to get more and more commercial every year. I think I am willing to look beyond that because of my childhood memories of it. There’s something deep within me that is willing to overlook the annoying parts and find the bits, the treasures that harken me back to my youth, back to the days when I could enjoy the parade with my mother. I love the dog show, too. It’s fun to watch and imagine how my own dogs would fare. Miserably, I’m afraid. I have not taught them well. I can’t believe how fast this month flew by! Two more days! I love watching this parade, too, Monica. Those immense animated balloons and the colorful floats — not to mention, the bands — all combine to make it a holiday tradition. How in the world did you ever move away from all that excitement?? Happy Thanksgiving, Monica, to you and yours. Save some of the feast for Sir Henry and Oliver, okay?! It’s funny, Debbie. When I went off to college I had no intention of never returning to NY. But school, love and then job opportunity got in the way and before I knew it, it was too late for me to consider returning. Makes me sad sometimes to be so far away, but my life is in San Diego now. Happy Thanksgiving Monica. I hope you have a lovely day with your son and daughter. I have my movies lined up, do you have yours? I’m going to watch Belle? Have you seen it? I’m getting my pumpkin mousse pies and chocolate torte ready for dinner tonight. Your meal sounded delicious. Pumpkin mousse pie? Yum! I have not seen Belle but it’s on my list. Let me know how you like it! A rum Pumpkin mousse with a graham cracker crust( I used cognac). It was a hit. Could you email me the recipe please? Tried to watch it but was just a self promoting infomercial about everything else but seeing the floats and bands. They make themselves the news instead of showing the news. They do the same thing about the convention of the political parties. They make the news their commentary but you don’t get to see the people making the speeches. I know what you mean, Carl, but because I’ve been watching since my childhood, it’s hard to quit the tradition. Too many memories of my mother are attached to it for me. Have a great thanksgiving Monica. Thanks, Robert. And thank you for your steadfast support of my blog! On news, the protesters plan to interrupt the parade. Would certainly add a new dynamic and audience. Oh my, I didn’t see them. Guess I’ll hear it on the news, though, if they were able to interrupt it. Happy Thanksgiving, Lady! We’ll be there. 9:00 am until noon in all time zones. Happy Thanksgiving, Monica. Happy Thanksgiving, Georgette. Thanks for sticking with me through NaBloPoMo!